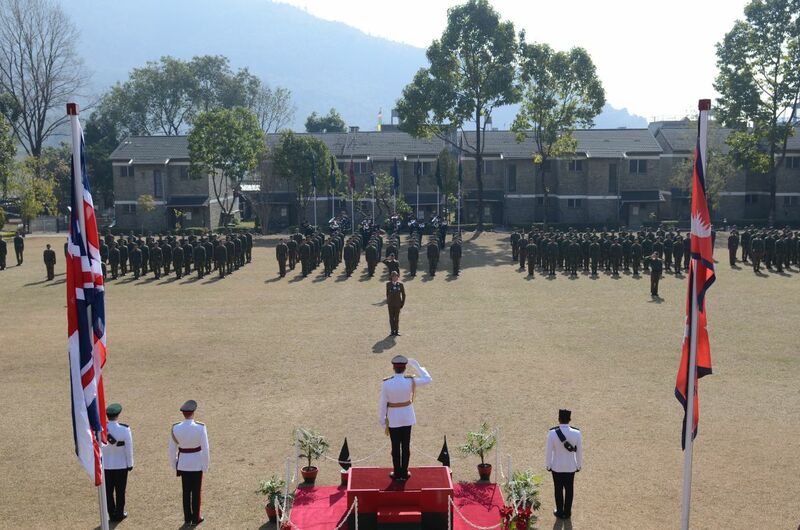 On Friday 9th February Chief of the General Staff, General Sir Nicholas Patrick Carter, KCB, CBE, DSO, ADC Gen, was the inspecting officer in Pokhara for the Attestation parade of the newly selected 270 Gurkhas. The parade was a culmination of an intensive and rigorous process. All had completed regional selection and then were in the top Order of Merit for the assessments at Central Selection. This year the 270 were selected from an original application of over 8,000. In groups of five the recruits came forward to swear their allegiance to Her Majesty The Queen. General Carter then spoke, congratulating the recruits on their success, reminding them they will become Gurkhas and will have a responsibility to maintain the special name. He stated that the Gurkhas had an important part to play in the modern Army and there service was truly valued. He said they and their families should be extremely proud of being selection to join the British Army. 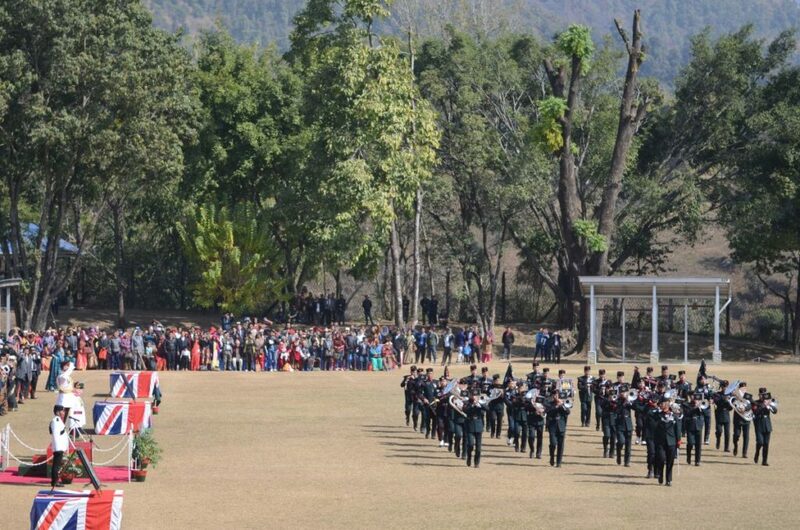 The music was provided by the Band and Pipes and Drums of the Brigade of Gurkhas who are on tour in Nepal and India supporting various events including National Army Day and a Musical Tattoo in India. Once the parade was complete everyone gathered around the chautara in the centre of the camp. Recruits were presented with khadas by their families. 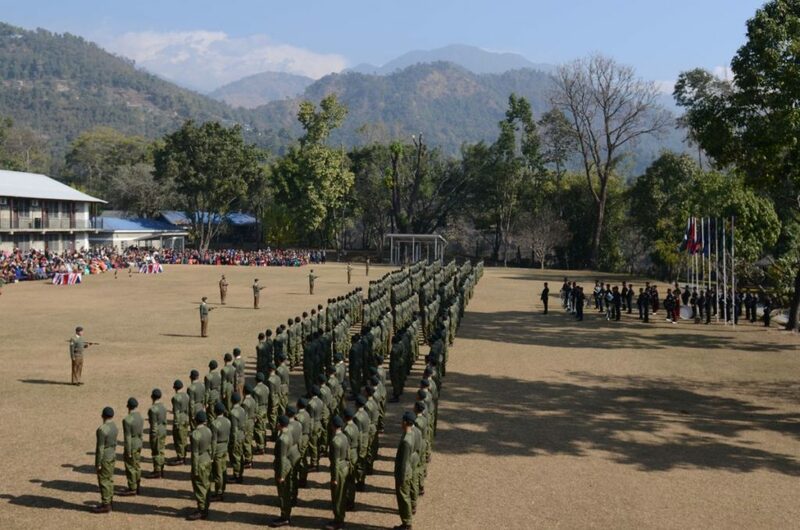 It would only be a few days before the recruits left Nepal to travel to the Infantry Training Centre in Catterick with Gurkha Company to start their training and careers in the British Army. The raining takes place over nine months.